This book behooves me. The tragic backstory of it makes it somewhat critic-proof: to rip it to shreds is just plain heartless, and to sing its praises is to remain oblivious to what’s on the pages. We’re all suckers for tragedy, and that seems to be what draws us to Marina’s book. I gave this book three stars, and honestly, that was being generous. First off, lemme say that there were some ok pieces in here. Keegan’s fiction is far better than her nonfiction, the latter part of which I largely skipped over. The problem with this book is that Marina is just so…young. There’s a blurb at the beginning of the book from one of Marina’s professors that mentions that the magic in her writing resides in the fact that her works resounds with the voice of a 20 year old. And my God, it does. There’s very little here in the predictable characters and pre-packaged endings to marvel at because it sounds like everyone else’s in a college writing workshop. Her prose isn’t particularly insightful and takes no risks. She has so much room to grow as a writer that I shudder to think of the many young writers out there whose work is far better, who, because they lacked the proper connections, didn’t have a job waiting for them at The New Yorker upon graduation. In an ideal world, this book would not have ever been published. 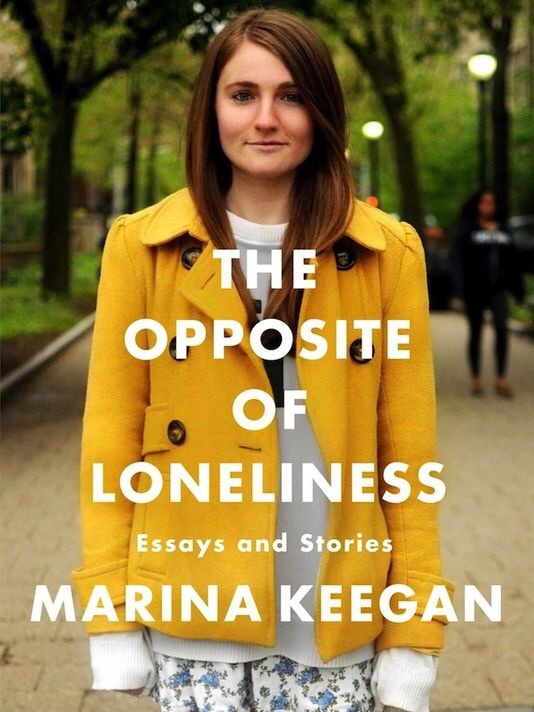 Because in an ideal world, Marina Keegan would not have died at 22. She would have graduated college, seen her existence beyond the confines of her privileged upbringing, and she would have grown out of her wide-eyed, precocious fascination with the real world. And I can’t blame her, my writing was probably this trite at 22 also. I imagine someone far younger than me would love this, so I read this fairly quickly and returned it to the library.